Here’s an interesting book storage idea. I must admit, though, I’m ambivalent. 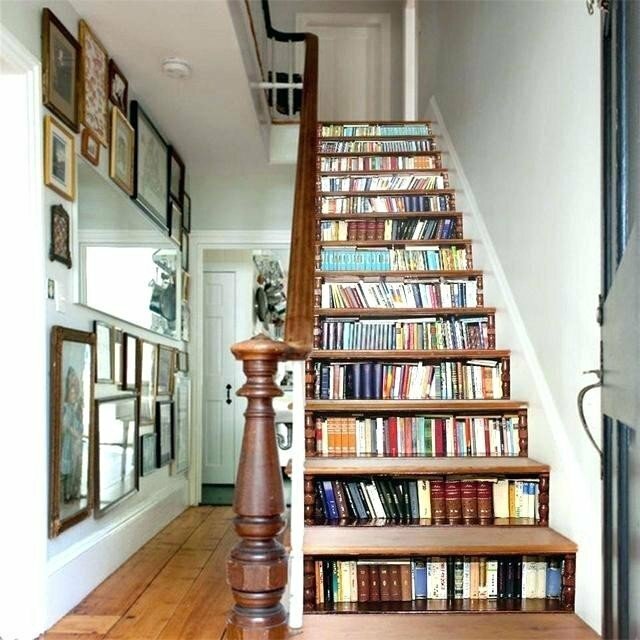 On the one hand, you’d have more room for books. (Always a good thing.) On the other hand, wouldn’t they get (ugh) dirty with all the foot traffic? What say you — yes or no? they could get wet too. You’re right, Sandra! Which would be terrible for them.